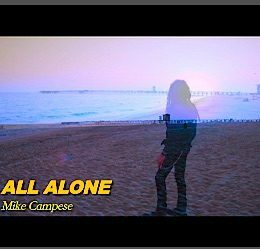 Promo Video For, “All Alone” – Full Video Coming! Here is the Promo Video For, “All Alone”From the “Fire Within” Album – Full Video Coming! Check back soon. Click Here to see the promo! 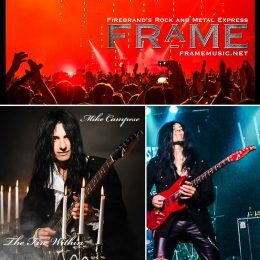 Mike Campese News – Shows, Swag, NYC – “The Fire Within” Reviews! 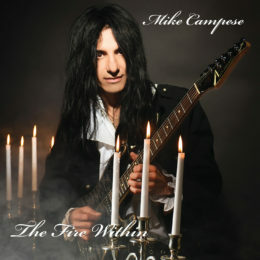 Here is some latest info and updates, right here at www.mikecampese.com. Click here for the latest news! 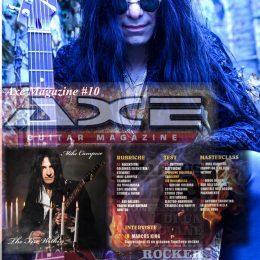 Check out the latest issue of, Axe Magazine #10 for the 10 page lesson and review of Mike’s album, “The Fire Within” Click Here for original feature! 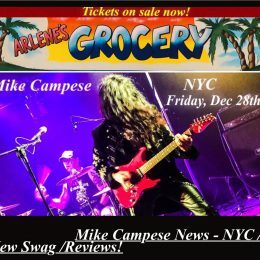 Mike will be performing in NYC, at Arlene’s Grocery on December 28th, 2018! Visit the tour page to purchase tickets! Click Here! 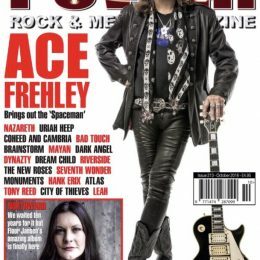 Powerplay Mag, UK – “The Fire Within” Album Review! 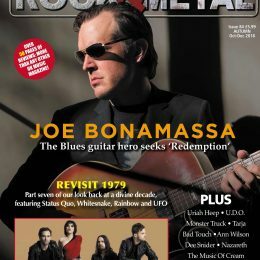 In the Powerplay magazine in the UK, October 2018 issue. There is a review of “The Fire Within”. In the Autumn 2018,Fireworks Mag in the UK. There is an album review of “The Fire Within”. Check it out! 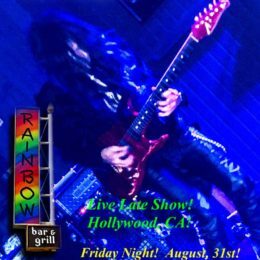 Mike will be playing at the Rainbow Bar and Grill, this Friday, August 31st, 2018. 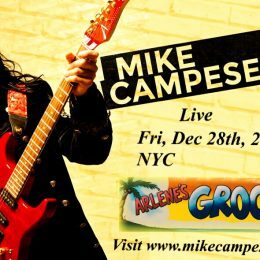 Mike will be playing on the West Coast on the Sunset Strip, In Hollywood, CA. 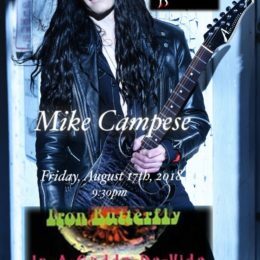 At the Whisky on Friday August 17th, 2018 with the classic rock band, Iron Butterfly. Also, The Rainbow Bar and Grill in Hollywood, on Friday, August 24th. More dates will be added. See the tour page for details. Latest News! The Troy Record – Show and Album Review!